If you are looking for reliable, consistent house cleaners for your home in the Woburn area, you just found them! Elizabeth & Cloves Cleaning is a trusted house cleaner in Woburn and surrounding areas since 1998. We pride ourselves on being on time and delivering services as expected each and every time. Whether you need a one time move in or move our cleaning, a deep spring cleaning or weekly house cleaning services, Elizabeth & Cloves Cleaning will be happy to develop a cleaning program that is tailored to your every need. 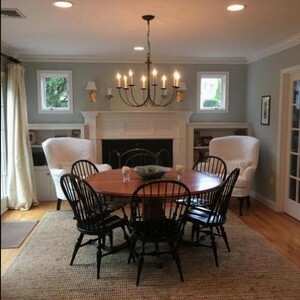 Call (781) 202-5651 for a free quote today, and have a clean home soon! "We started in the business over 17 years ago by working for another cleaning company. Over the course of a few years, we developed our own cleaning method, based on customer needs. We decided to open our doors to Elizabeth & Cloves Cleaning so that we could better meet the stringent quality standards that customers deserve and expect. Now, we are much more than a Woburn Cleaning business! We improve the quality of our customers' lives. We believe that providing great cleaning is the result of knowing the environment and the best materials to do the job effectively and efficiently! We offer modern practices and high quality cleaning equipment at a fair price, to best serve the cleaning requirements of Middlesex County residents." Why Call Elizabeth & Cloves Cleaning? Located in Woburn, Elizabeth & Cloves Cleaning provides house cleaning for all of Middlesex County and surrounding areas. Our cleaning technicians are hand selected by the company owner and undergo thorough screening and training to be come proficient with our tried and tested house cleaning system. We take great care to employ competent, trustworthy individuals to ensure that your expectations are met or exceeded with each visit. Call today to discuss your Woburn, MA area home cleaning needs.